This stylish bath weighing scale is a must for every home. Monitor your health, Monitor your weight. 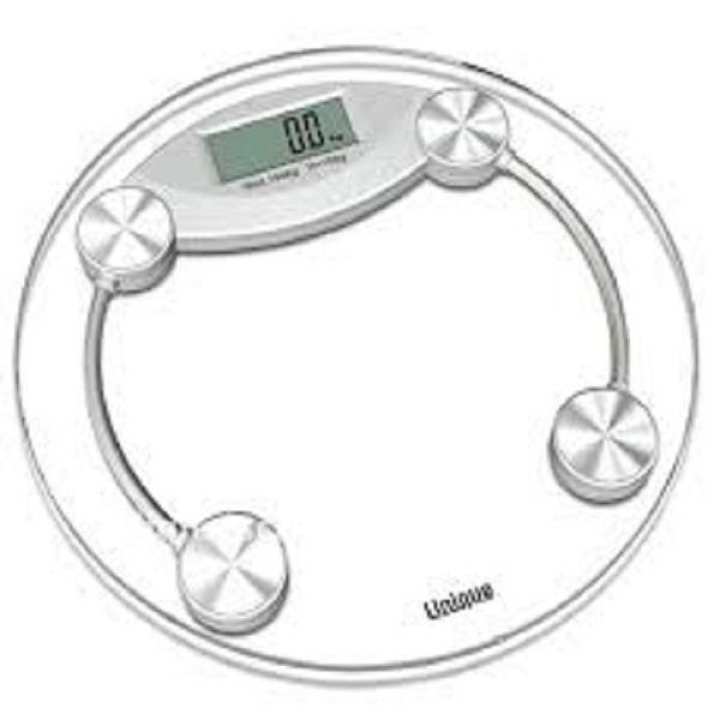 This one measures your weight in Kilograms (KG) or in Pounds (Lbs.) at reliable digital measurements every single time. Very accurate; Features a thick tempered glass that is virtually unbreakable with normal use (and normal human being use, 180kg /396 IB (max) capacity). Also, this one holds the weight once it is counted for few seconds & then renew it to zero This has an Auto OFF feature which makes it save on the battery life and once you step in it starts weighing automatically.